I was born, at home, assisted by a midwife in Wellingborough, Northamptonshire, England. I grew up and lived in England until the age of 10 at which time my family immigrated to Perth. We arrived by ship on the Australis, sailing around South Africa, stopping along the way at Los Palmas, Cape Town, and sailing the roaring forties; finally stopping at the port of Fremantle. This trip started my long love affair with travel. My Favorite quote by Mark Twain, has rung so true for me. Leaving home at 16, I met my 1sthusband (Peter) at a nightclub at 17! We bought a house together, as it was cheaper than rent at the time; rented it out and decided to backpack around the world. We were away for 2 years having travelled Asia, America, Canada, England, Scotland, and Europe; until I fell pregnant with our 1stchild Matthew. We returned, 7 months pregnant, to our home near Kalamunda to try and settle down to family life. 15 months after Matthew was born, our 2ndchild Claire came into the world. Domestic life was hard for an adventurer and before long we were planning our trip around Australia. With our Jayco trailer camper and HQ holden we set off around Australia for 2 years, staying mostely in bush camps in national parks, hiking and exploring. What a life we had and a wonderful education for the kids. We finally came back to Perth but found it hard to settle in the big city so we moved to Albany and then to Denmark, in WA. Settling down to a routined life was hard and took its toll on our relationship, we needed the excitement of travelling to keep us distracted from the issues that were forming between us. Divorcing and selling our home we both moved to Fremantle, living down the road from each other so that Matthew and Claire could have easy access to us both. This was when I discovered the Great Walk Networking group, who became my friends, my support, family, and a great way for my kids to spend every school holiday. It was a bunch of people, 200 in fact, who organised a protest walk from the 20thMarch – 14thApril 1988 from Denmark to Perth, 650km, to save the forest of the South West from significant threats. Over 1000 people took part in expressing their appreciation and concerns for the environment, which were conveyed in a document called the Great Walk Tree Charger which was carried to Parliament House were it was presented to the Premier of Western Australia, Mr. Peter Dowding. The Great Walk required a great deal of planning and coordination: the route had to mapped, checked and marked on the ground, support crews and equipment assembled, transport arranged, child-care, first aid and medical personnel coordinated and a mobile catering system put together, able to serve 200-500 people at a time. 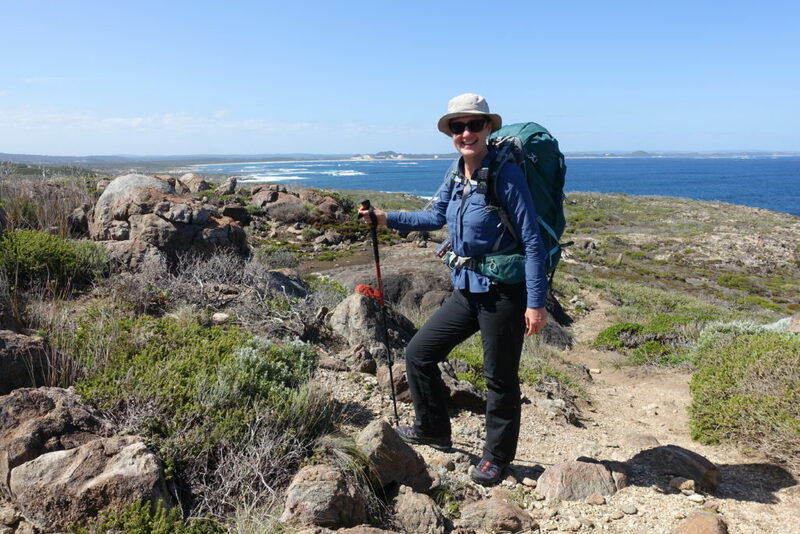 This group had so much fun that they decided to continue every school holidays, walking and camping all over Australia; mostly Western Australia. They continue to exist and help raise awareness around the environment. 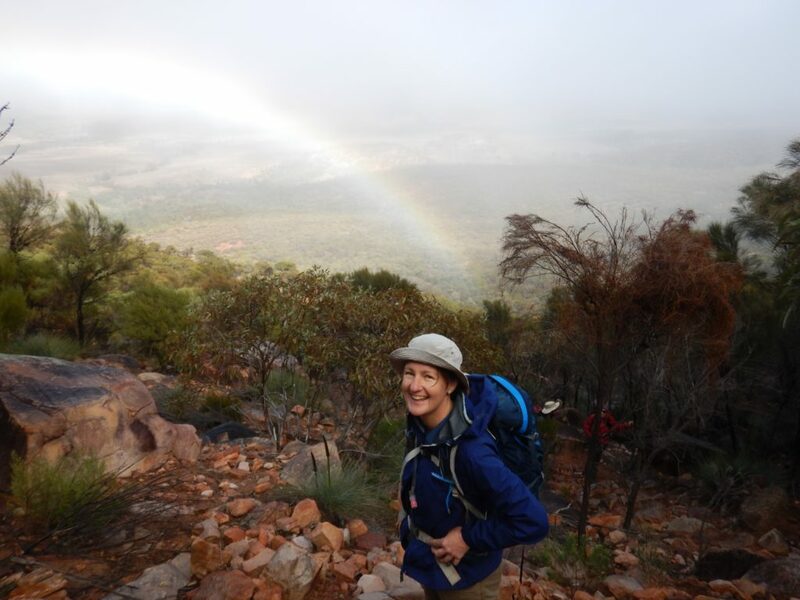 I had been part of their organisation since the early 1990’s volunteering, organising, and coordinating hikes. I met my current husband, my best friend, Peter (Yes another Peter! He calls himself REPEAT! He has a wicked sense of humour); we were both training as practitioner body workers (I went on to further my studies and become a Body Based Psychotherapist). The romance blossomed after a chance encounter at Coles, in the cereal aisle. We went for coffee and the rest is history. 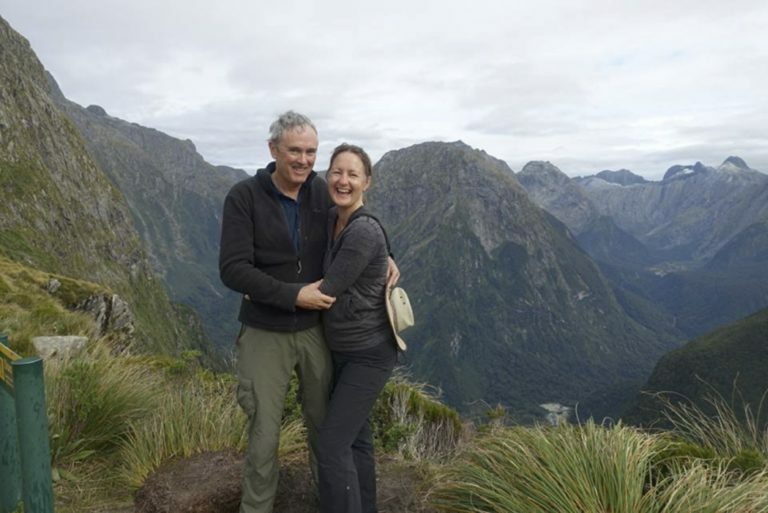 We both share a love for the environment, community, personal growth, yoga, food, arts, theatre, culture, travelling, hiking, and cycling; and have had many adventures together. Peter was an electrician; he had studied to be an Electronic Engineer at UWA, when he had left school, leaving a small country town called Narrogin. He found study in the big city hard and failed to complete his degree without support. Peter worked as an electrician in the mines up north as a FIFO worker, and with my support he managed to achieve his dream to finally complete his engineering degree and to later become a Biomedical Engineer at Sir Charles Gardner Hospital. After Peter finished his degree, I suggested that before he started work we should travel before he became time poor, so we went off to Europe for 4 ½ months. 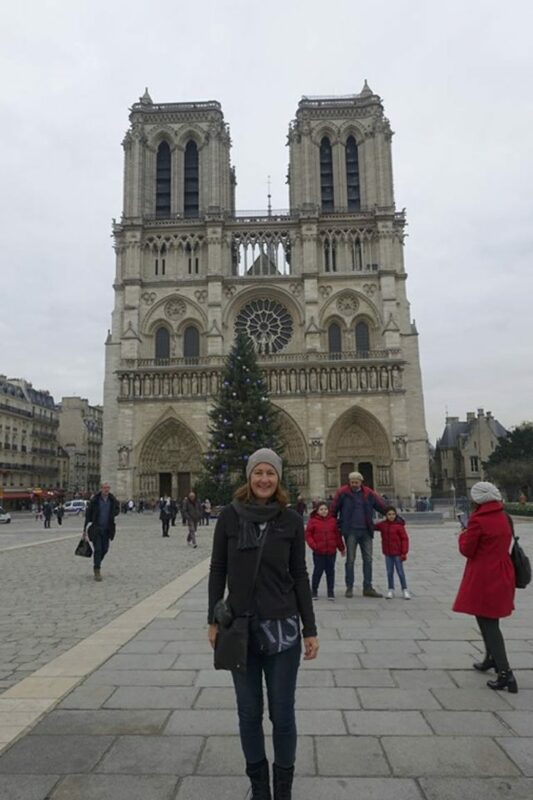 We cycled our way around France, hiked around England, visited the islands in Greece, Channel Islands, stayed in Tuscan villages, and visited Rome, Amalfi coast, Cinque Terre, Switzerland etc etc etc. Since Peter has worked as an engineer we have found time to hike independently and together on the Bibbulmun Track (I only have one section left to complete end to end!) 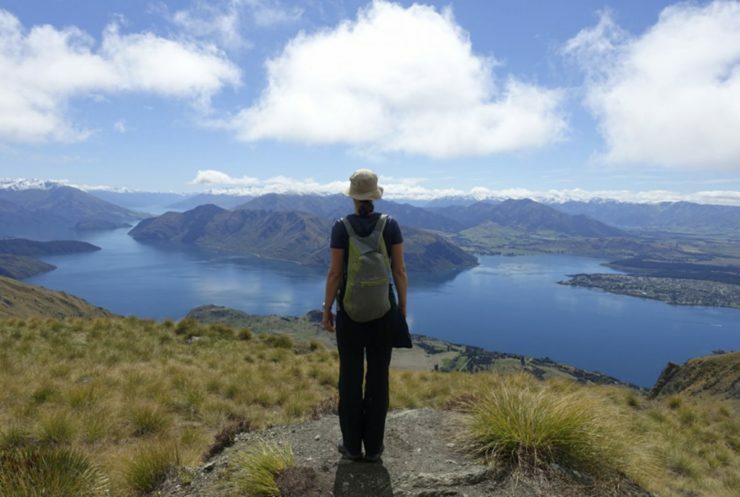 We also hike locally in Perth, all over Australia, and New Zealand. I have also purchased a Toyota campervan that I share with a friend in NSW, which I use to get to hikes all over the eastern states. Peter will be semi retiring soon and will be joining our Kimberley tours as a guide with me this year, which I am really excited about. My son Matthew, his girlfriend Rachel, and their gorgeous daughter Maddison (my granddaughter!) and my daughter Claire also love the outdoors and enjoy their own adventures hiking; just like their Mum and Grandma! 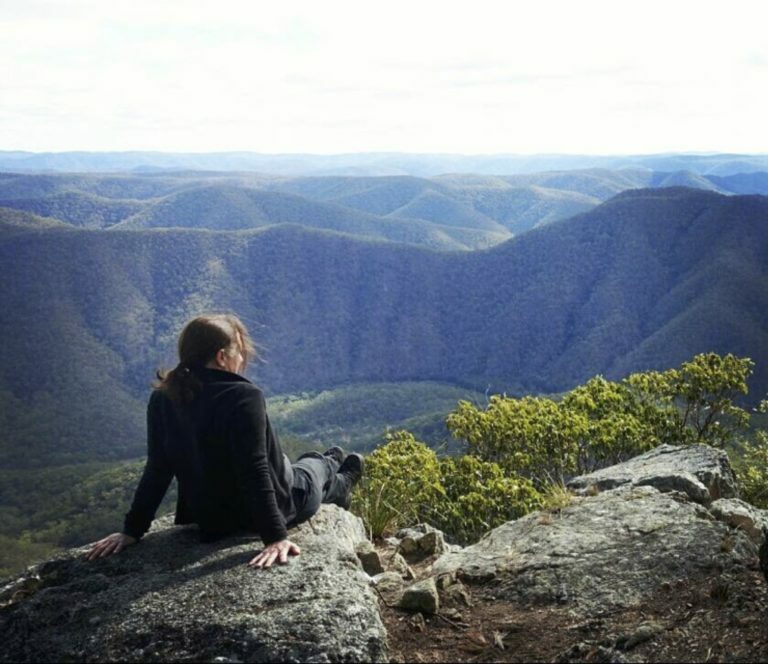 My experience with the Great Walk Networking, hiking around Australia and the world, employed as a cook at Woodbridge house and Tranby house, working as an Inreach mental health worker, and living in a community in Fremantle have prepared me for my work as a Tour Guide with Inspiration Outdoors. I am so very grateful and appreciative of the fact that I am doing what I am passionate about. I LOVE my job!!! And I continue to EXPLORE, DREAM and DISCOVER!